It has been said that one of the toughest decisions a district attorney can make is whether they need to try a person under 18 as a juvenile or as an adult in court. While it may seem obvious that anyone under 18 should be tried as a minor, certain violent acts are considered too extreme to be tried in juvenile court. It is ultimately up to the district attorney to make the call and it depends on a few factors. It may depend on brain development, history of criminal charges, possible rehabilitation and others. For example, a recent case in Colorado required a local district attorney to ask herself the very question of whether to try a young woman as a juvenile or an adult. Her final decision will not be known until next year, however, it is likely that the young woman will be tried as an adult. She is being accused of murdering her nephew. Apparently it wasn’t always a question whether juveniles were to be tried as adults, sometimes it was a given, depending on the charges they were facing. It wasn’t until a law passed in 2010 that young adults were given the option to not face adult punishments for crimes committed as a juvenile. In 2009, prior to the new law, 152 Colorado juveniles faced adult sentences without any review. This was shocking to many and that’s what catapulted the new law in 2010. The new law calls for what is referred to as a reverse-transfer hearing, which allows a judge to hold a separate hearing which will determine whether the minor will be tried in a juvenile or adult court. No matter how mature or educated a minor may be, they are still underage. With their brain still developing, they can’t always see beyond their day-to-day life. Sometimes, being in the wrong place at the wrong time, with the wrong people no less, doesn’t strike them as potentially life changing. Getting into trouble or doing something risky doesn’t always resonate with a minor as jail time or as having any consequences at all sometimes. Part of our job as an attorney is to remind the court system and judge of that. It can be easy for people with experience of the law to write off a person, even a child, for not understanding how grave some actions can be. Jail time isn’t always the only option. Sometimes people only fear that they will go to jail, not realizing there are other ways to pay for their crime(s). Under certain circumstances a person will be able to get treatment, receive education, go through a rehabilitation program or receive probation in place of incarceration. These alternatives aren’t necessarily a shortcut by any means, they may be extensive and they may be expensive, but they are also greatly preferred over incarceration. As an attorney, it is our job to present these options and push for alternatives to jail. Especially for juveniles. Last but not least, is the very question that parents, children, district attorneys and we dread: should a child be tried as an adult? This, as we stated previously, is a complex matter and has, luckily, improved over the years. Still, it is a possibility. 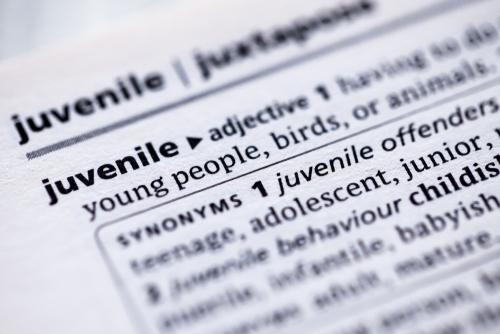 Our jobs as experienced attorneys is to keep crimes that juveniles commit in the juvenile court. Once a person is tried as an adult, especially for extreme crimes, their life is on the line. We will do everything in our power to avoid that happening at all costs. If you and your family are in need of a juvenile defense attorney in Denver, Colorado, look no further than Jarrett Benson. With years of experience and a knack for vigorous representation, he will ensure that your child and your family receive the most favorable outcome possible. If you have any questions about your case do not hesitate to call our offices today.